If you've finished the six steps to The Perfect Shine, you'll need to do some light maintenance to keep it looking great. If it's a true show car (toy), keep it covered. Even while it's neatly tucked away in the garage, you should keep your car covered. This keeps dust and pollutants off of the beautiful finish, and the wax won't evaporate as quickly (yes, wax evaporates). Next, plan to do a quick detailing on your car after each outing. 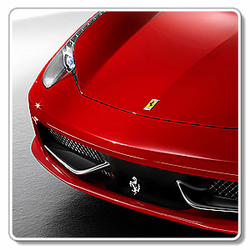 Choose a good detailing spray containing no protection or a carnauba wax detailing spray. A good detailing spray will restore shine. A carnauba detailing spray will replenish the wax lost through evaporation. Quick detailing will normally take no more than 5 to 10 minutes. You can apply a fresh coat of P21S wax as often as you like. I recommend reapplying wax monthly, or whenever you want your car to look its very best. Between washes and after washing, I recommend using Sonus Acrylic Spritz or Sonus Carnauba Spritz. Both products will restore shine and protection. The Sonus Carnauba Spritz contains the same grade carnauba wax as P21S Carnauba Wax. If you keep your car garaged and covered, this is a great detailing spray to maintain the concours finish. If your car is a daily driver, use Sonus Acrylic Spritz, which contains polymer protection. The Klasse sealant glaze protection will last 5 to 6 months. Plan to repeat The Perfect Shine process two to three times a year to keep your car's paint in perfect showroom condition. There's no particular magic to this classic car polishing process; however, at least two of the ingredients are key. Finish preparation is the most significant function of the process. The paint finish must be refined through several grades of polish. This is how jewelry makers create gems of radiant beauty. The key ingredients are Klasse All-In-One and Pinnacle P21S Carnauba Wax. The reason these two products work together, where others do not, is actually pretty simple. Klasse is an acrylic resin coating. It's not a petroleum- or water-based product. It's an acrylic. When it dries, it dries hard. Most synthetic sealants are polymers based on the element silicone. To my knowledge, all polymer sealants are based on an emulsion system containing petroleum distillates. As a result, even the mildest petroleum distillates remove polymer sealants. Zaino Show Car Polish is the only polymer sealant that I'm aware of that can be successfully layered (a new application of Zaino Show Car Polish does not remove previous applications). Likewise, carnauba waxes contain petroleum distillates. In waxes, petroleum distillates are used to soften the carnauba, which is rock hard in its raw form, so it can be blended into a paste or cream. The P21S Carnauba Wax formula uses a highly refined petroleum distillate, much the same as that used in the manufacture of cosmetics (i.e., lipstick wax). The solvent content in P21S Carnauba Wax does not affect the cured Klasse sealant glaze. By conducting side-by-side durability tests, I have proven Klasse remains solidly intact. For crystal-clear maintenance of your Klasse Car Wax finish. The Quick Detailer that adds a Carnauba SHINE!